Love without expecting anything in return. Yes, ideal... But can we really expect ourselves to feel this way? Act? Yes. But feel? Maybe not. 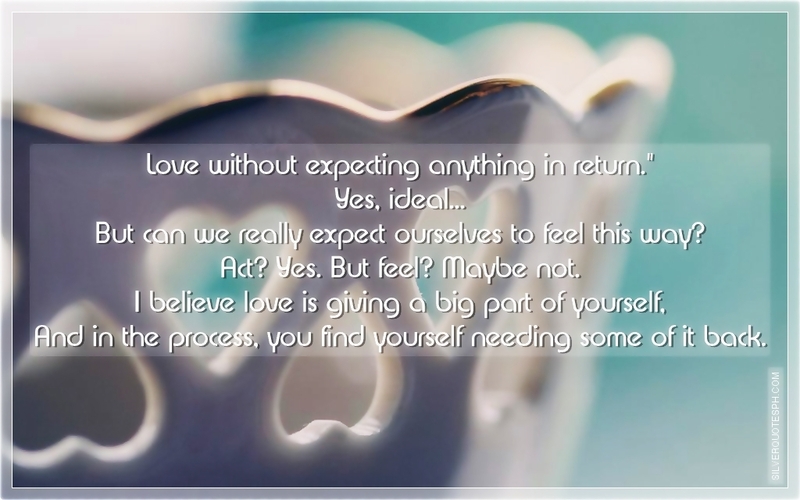 I believe love is giving a big part of yourself, And in the process, you find yourself needing some of it back.